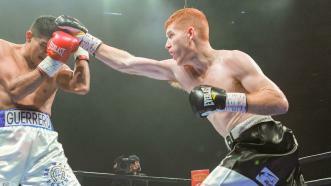 Ryan Karl (15-1, 9 KOs) earned a unanimous decision victory over Kareem Martin (9-2-1, 3 KOs) in an eight round battle of junior welterweight prospects during the opening bout of the PBC on FS1 card on Friday, November, 17, 2017 from Dort Federal Credit Union Center in Flint, Michigan. 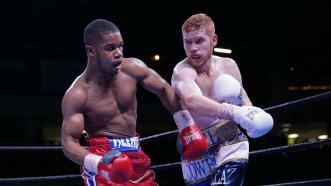 Ryan Karl earned an eight-round unanimous decision over Carlos Winston Velasquez in a 145-pound bout. 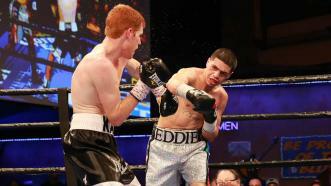 Eddie Ramirez won a battle of undefeated 140-round prospects in impressive fashion, stopping Ryan Karl after nine rounds. 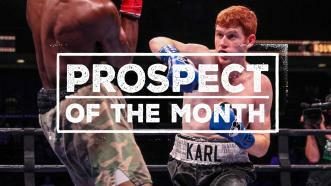 Undefeated 140-pound prospect Ryan Karl is PBC's January 2017 Prospect of the Month. 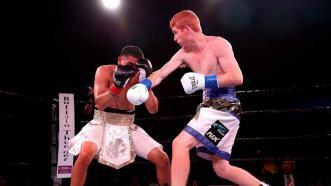 In a battle of undefeated 140-pound prospects, Ryan "Cowboy" Karl dominated Jose Quezada, winning by fourth-round TKO.